The value of a used car can be difficult to pinpoint because it depends, at least in part, on how you maintained the vehicle and what sort of shape it is in. 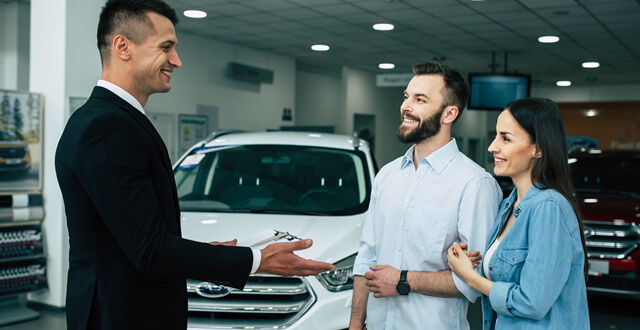 You can start by researching what you paid for the car and compare that price to what it would cost to buy a new car of the same make and model today. Be sure to use the online car value databases to look up the value of your used car, too. Compare all the numbers and decide what you think you should get for your car. You may want to set your selling price a little higher, so you have room to negotiate. You can’t sell a car without the title and registration. If you can’t find your title, you will have to request a copy from the DMV. There is a form to fill out and sign that you may be able to obtain online, depending on how your state handles these things. If your car is no longer registered and you have returned the license plates to the DMV, you can’t allow potential buyers to test drive the vehicle. Cleaning can do a lot to add perceived value to your vehicle. It is worth investing some time and elbow-grease into really making your vehicle shine. When you buy a used car from a dealer, they detail the car before you look at it. You want to do the same with yours. Make it look as close to new as possible to impress potential buyers. You can’t sell your car without pictures. No one will pay attention to your listing unless they can see your vehicle. While you are taking pictures, be sure to capture every part of the car from multiple angles. Don’t forget to take photos of the inside of your vehicle to show how clean it is. There are a lot of places where you can advertise your car for sale for free. Most online listings are free and will reach a wide audience. You want to get your advertisement in front of as many people as possible to increase your chances of selling the car and selling it faster. To find the best websites for selling your car, search the internet. Pretend you are looking for a vehicle to buy and see which websites you like the best. Of course, you will have to consider location. Unless you are selling a rare or classic car, no one is going to travel a great distance to buy it from you. Look into listing your car in Facebook groups that are focused on your community. Be sure to read the rules of these groups before advertising there. It is exciting to finally find the right buyer for your car and get your money. Remember that transferring the title to a motor vehicle is a legal process. You want to do it right, so the sale is final, and there are no problems. The buyer needs to get a clean title to the car and be able to register it in their own name. You need to have the funds free and clear and the car out of your garage. Involving a notary in the final paperwork of this transaction will help ensure it is all legal. If you need to refer to this paperwork later, like if someone questions the terms of this sale, it will have more credibility with an official notary stamp on it. Practice negotiation. No one ever offers the full amount they can afford the first time. When you get an offer, always make a counter offer. You will get a little more for your car this way. Don’t set your price too low. No one will offer you more than your asking price. In fact, rarely will they offer the full price at all. Set your price a little higher, so you have room to negotiate and can still walk away with the amount of money you want to get. Consult your DMV. Get all the forms you need to complete the sale in advance. Ask the DMV what they need from the new owner to register the vehicle, so you can be sure to sign everything at once. Read the back of your title. It will give you instructions for signing the title over to the new owner. You want to follow these instructions carefully, so you do not mess up the title and have to request a new one. Engage a mobile notary. Gather your paperwork in advance, but don’t sign anything. Have a mobile notary meet you and the buyer when it is time to complete the transaction. You can sign everything and have it notarized at the same time. When the transaction is complete, you will not have any other steps to take and neither will the person who buys your car. It’s not difficult to sell your car yourself. With these tips, you can be sure to accomplish the entire transaction without any missteps. For more information about how a notary can help you accomplish the sale of your used car, Superior Notary. We provide a whole range of auto notary services, including mobile notary services that can come to your location to help complete the transaction. You can rely on us for all of your notary needs, whether you’re selling your car or closing on a loan. Superior Notary protects you from fraud and makes notary services convenient.